Intercontinental Abu Dhabi boasts of a private beach complete with sun loungers and shacks. 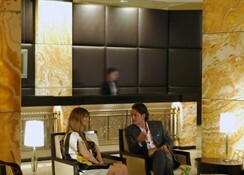 Located near the Corniche Beach, the hotel is an epitome of world class luxury and hospitality. The hotel features a grand ballroom for parties, terraces with sea views and a beachfront garden among other facilities. With most Dubai tourist attractions within easy reach of the hotel, this would be an ideal place for accommodation during your stay in Dubai. Plush rooms at the hotel come with modern amenities and furnishings. The wide range of dining options offered by the hotel brings the entire world at your table. The hotel also offers a host of health and wellness facilities for its guests. 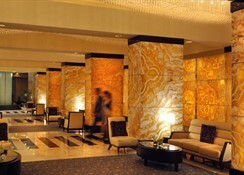 The hotel is located in the central hub of key tourist attractions and business metropolis of Dubai. The nearest beach being the Corniche Beach is 2.3km from the hotel. The nearest International airport is the Al Maktoum International Airport at a distance of 120km. Visit the Al Khubeirah garden for a relaxed evening walk. 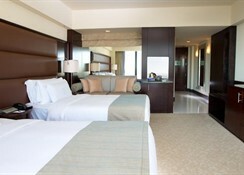 Intercontinental Abu Dhabi offers spacious rooms with elegant décor and all modern amenities. 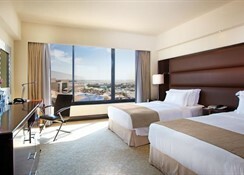 Guests can choose between Classic rooms, Executive rooms and Suites. Classic rooms offer magnificent sea views along with amenities like free Wi-Fi, a minibar, marble bathroom, TV and more. Executive rooms offer the same amenities in addition to the rooms having large windows offering views of the gulf or the city skyline. Suites have a private dining and living area with a whirlpool bath. Selections restaurant offers all-day dining with a sumptuous buffet breakfast and a la carte dinner. 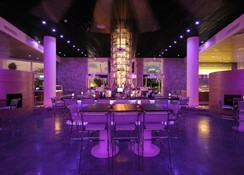 The restaurant serves international cuisine along with hosting regular cuisine specific themed nights. Cho Gao Marina Walk is the Asian restaurant which the hotel offers for guests looking forward to authentic Asian cuisine. 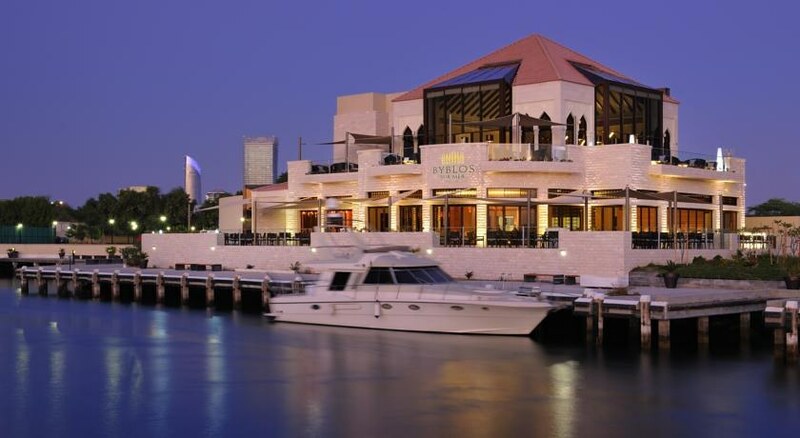 Open from September till May, Terrace Dining offers the best of delicacies overlooking the marina. The piano lounge is a peace haven with live soothing music to be accompanied by the goodness of coffee, homemade cakes, croissants and more. Bars and more restaurants catering to other cuisines are also offered by the hotel. The hotel has its own private beach and the staff can arrange for watersports and cruise facilities for guests. The hotel also offers an outdoor swimming pool, a tennis court and a fully equipped gym. For families with little children the hotel arranges for children’s activities. The hotel also offers a spa and wellness centre to refresh and rejuvenate with a hot tub and sauna.